This script will monitor the status of your VPN connection and will automatically try to reconnect you to the VPN if you're disconnected. This will also allow you to select a program (uTorrent in this example) that will automatically be shutdown when disconnected and reopened after the VPN reconnected. There are some limitations to this script. Once it's started, you CANNOT disconnect from the VPN or close your torrent program as the script will automatically reconnect to the VPN and launch the program. The only way to stop the script is by restarting the computer. 1. 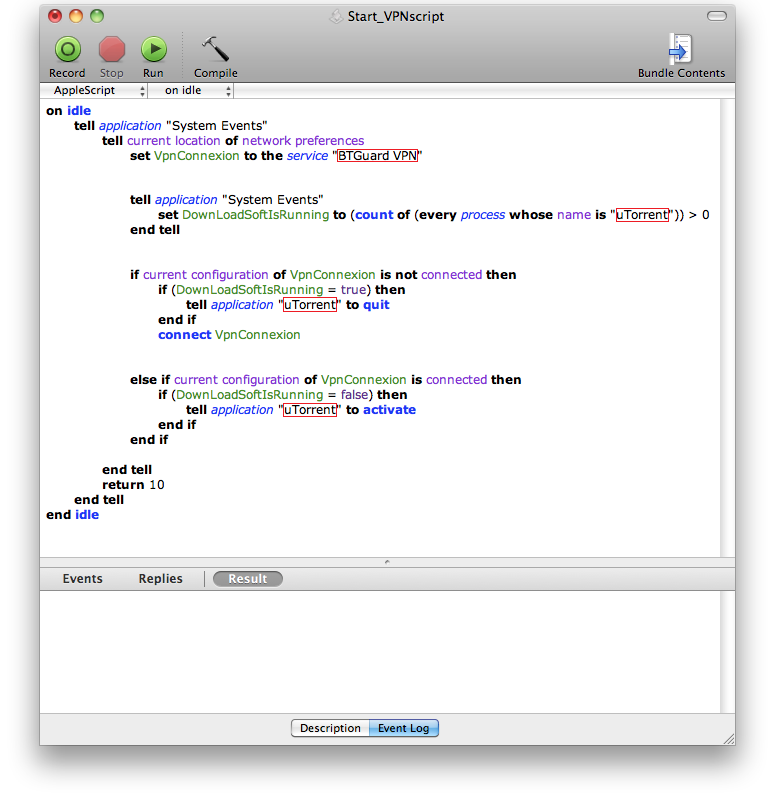 First, you'll need to open the AppleScript Editor and go to Preferences. 2. 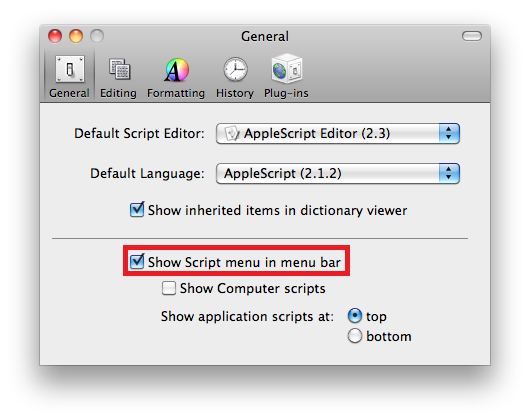 Make sure Show Script menu in menu bar is checked. 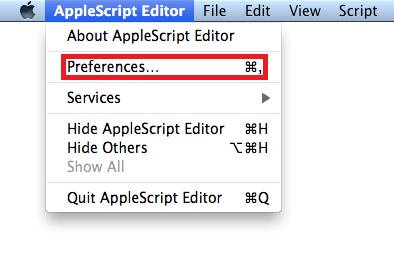 If the program you use is not listed above, please scroll down to the How To Edit the scripts section. 4. 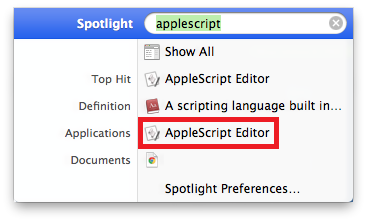 Click on the AppleScript Editor icon in the menu bar and click on Open Scripts Folder. 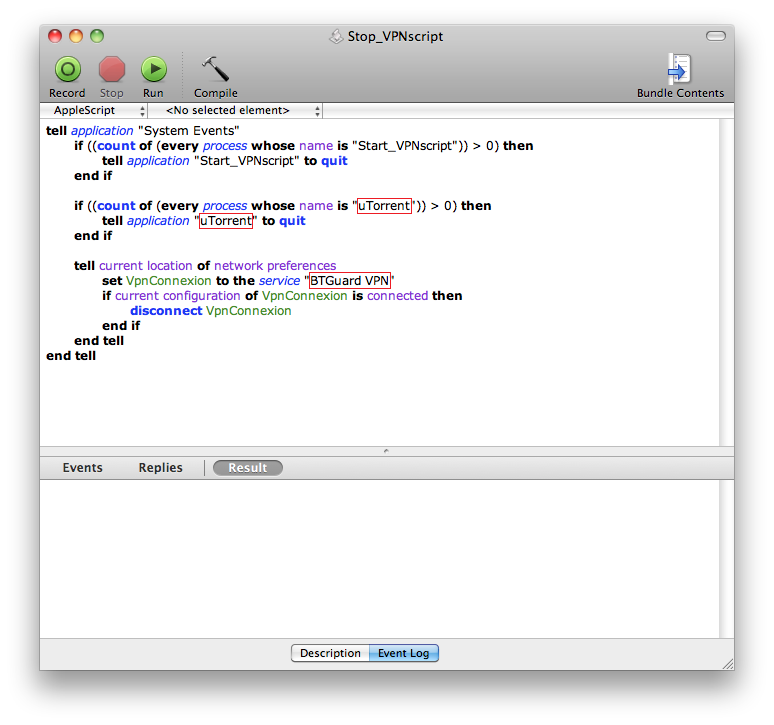 The Scripts folder should open. 5. Unzip the downloaded scripts and move the whole content to the Scripts folder you just opened. 6. 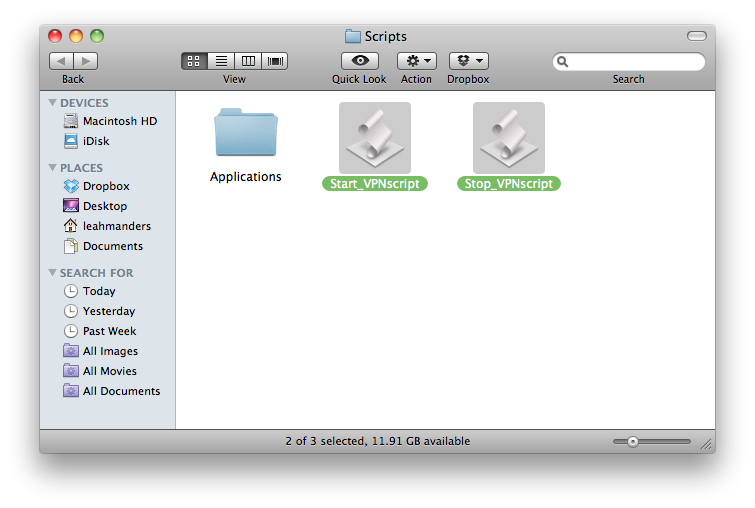 Click on the AppleScript Editor icon in the menu bar and click on Start_VPNscript. The following steps are only required if you did not name your VPN connection BTGuard VPN or if your favorite torrent client isn't listed above. Locate the scripts you downloaded and open Start_VPNscript. Locate BTGuard VPN and replace it with MYVPN (or whatever name you've given it). Make sure to keep the " ". 3. To have the script manage a different program, locate uTorrent and replace it with the name of the program you wish to see closed when the VPN connection drops. 4. Open the second script Stop_VPNscript. 6. To have the script manage a different program, locate uTorrent and replace it with the name of the program you wish to see closed when the VPN connection drops. This page was last modified on 13 September 2013, at 04:26. This page has been accessed 24,902 times.